Lazlo, a boy raised in an orphanage who dreams of another world—until one day, the name of that world is erased and becomes, simply, Weep. A boy who runs away to become a librarian and uses all his free time to learn more about the Unseen City, until his research is taken by someone more powerful than he. A boy who becomes a young man who, one day, finds himself on a quest to help that very same city. A young man for whom myths and monsters are what make the world, and Godslayers and godspawn are two sides of the same coin. A young man who is Strange the Dreamer, and who could never have dreamed the adventure awaiting him. First, I must say that I came to this book as a Laini Taylor novice. I’ve never read her other books (VBC Ed. Note: Daughter of Smoke and Bone is lyrical and highly recommended). Having said that, Strange the Dreamer is, quite honestly, one of the best books I have ever read (and I read A LOT). First, let’s start with the writing itself, since that is where all books must begin. Here, the writing is sublime. It’s lyrical and poetic, like the book version of Lazlo’s dreams. Every once in a while, I would have to stop and re-read a portion just to appreciate how beautifully the words flowed. This is not a book to be raced through, though it may be difficult. This is a book to be savored, like the first bloom in spring, or the first ripe, sun-warmed berry off the plant. A pure burst of joy, in book form. But the characters—well, they will not feel like “characters” once the book has been finished. They will feel like the best of friends, the oldest of enemies. Like those we must stand and protect, or those we will detest until the day we die. Frankly, I am in awe over how Taylor manages to create so many characters in such a perfect way. There is no character that does not seem like the fullest representation of themselves, in that moment in the book where the reader happens to be. I don’t believe it would be too far off the mark to say that Taylor is herself a bit of a dreamweaver, as the best of authors can be. Yes, I freely admit it. I am gushing over this book. My brain has been churning since I finished it, going over events and flashing images and remembering passages that were, quite simply, magical. 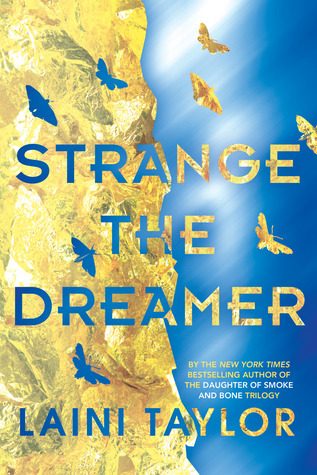 To me, the best kind of book is one that lives on in the thoughts of the reader for a while after it is finished, and Strange the Dreamer not only accomplishes that, but makes me want to turn around and read it again, just to immerse myself in the words once more. 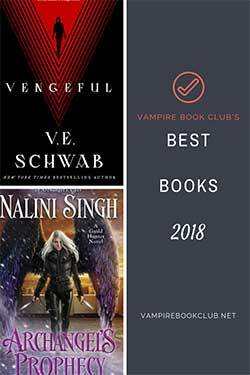 Books don’t get much better than that, and when they manage to accomplish it, they are truly a form of magic that still exists for those who search it out. 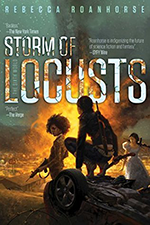 I find that the tone and style of the book often influence those of my review. It’s nice to know I’m not the only one. Moving this up the wish list. Yes, I have found that as well – and it *is* nice to know I’m not the only one either! Beth, I want to thank you for your review. It’s so very beautifully written, as lyrical as you say the book’s language is. Clearly you are a lover of the written word and if you aren’t a published author, you should be! I was almost heartbroken when I came to the realization this was not a stand alone book. I should have known better. I’ve read Laini Taylor’s other books, but Strange the Dreamer is by far my favorite. Now the wait.